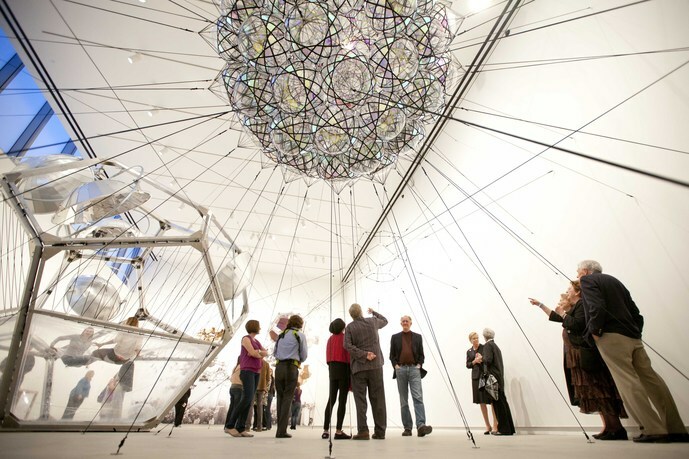 View of Tomás Saraceno: Cloud-Specific, 2011, Kemper Art Museum at Washington University in St. Louis. Courtesy of the artist, Photo: Whitney Curtis. 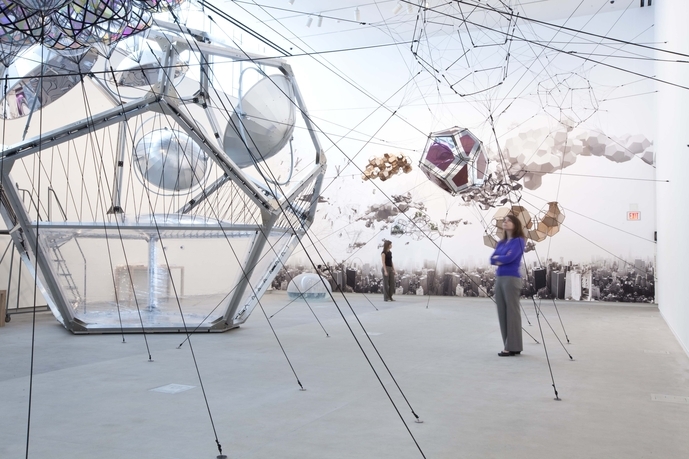 Tomás Saraceno: Cloud-Specific showcases newly commissioned artworks by this Argentine artist internationally recognized for his fantastic architectural proposals and environmental installations. 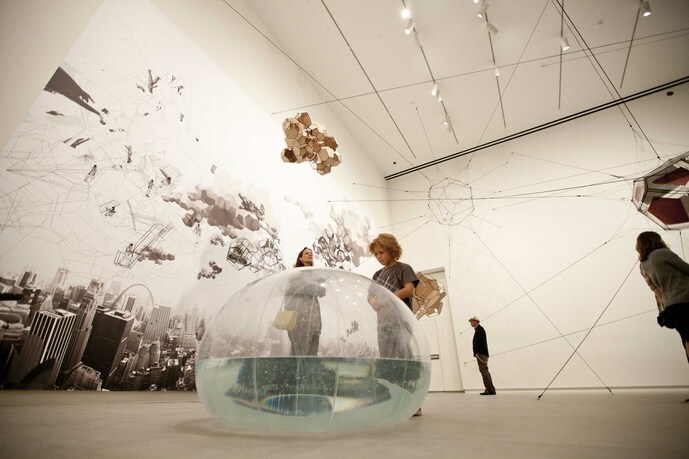 Featuring a selection of his latest pneumatic sculptures, video work, and experimental prototypes,the installation at the Mildred Lane Kemper Art Museum highlights the breadth of the artist's practice while significantly advancing his ongoing exploration of an "Air-Port-City," a visionary project for a sustainable city in the sky consisting of a series of bubble-like cells fueled by solar energy. 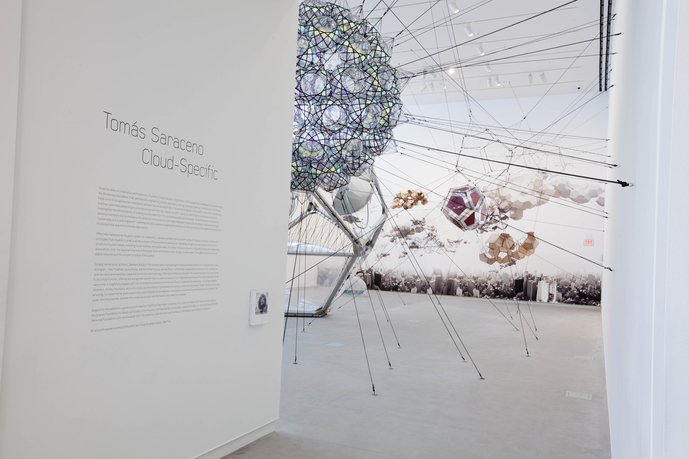 Based on extensive material investigation, Saraceno's spatial practice crosses disciplinary boundaries, effectively transforming the gallery into a laboratory space that raises challenging questions about the sociopolitical condition of the lived environment and our potential to transform it. 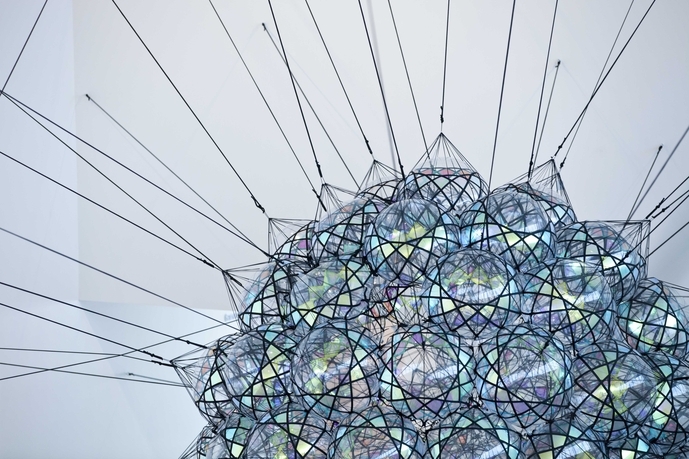 A fully illustrated catalogue, coedited by Meredith Malone, exhibition curator, and Igor Marjanovic, associate professor of architecture, Washington University in St. Louis, and distributed by the University of Chicago Press, accompanies the exhibition. 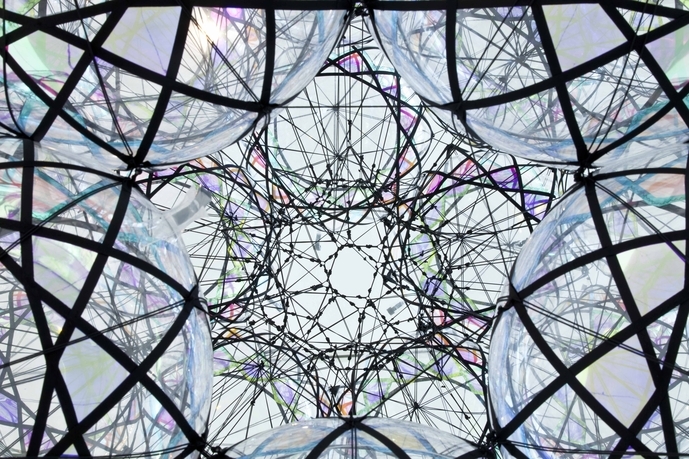 Tomás Saraceno was born in Tucamn, Argentina, in 1973 and lives in Frankfurt, Germany. He trained as an architect at the Universidad Nacional de Buenos Aires (1992–99) and did postgraduate work in art and architecture at the Staatliche Hochschule fr Bildende Kunst, Frankfurt (2001–03). 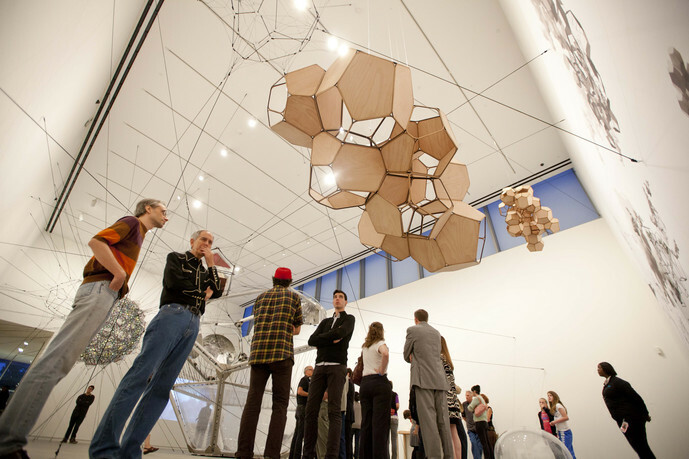 In 2009, he won the Calder Prize and that summer was artist-in-residence at the International Space Studies Program at NASA. 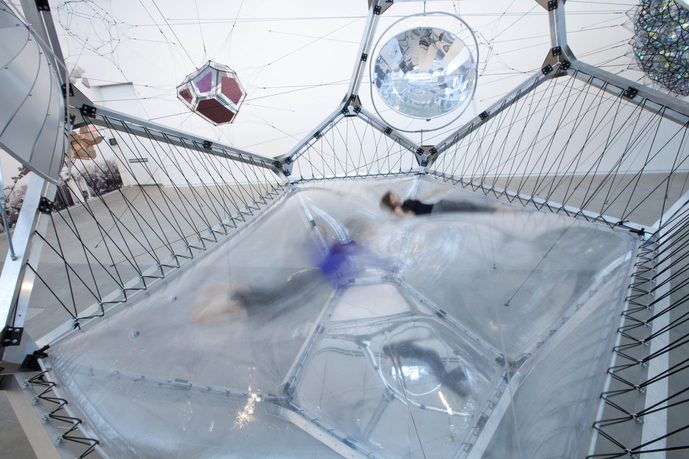 Upcoming projects include major commissions at the Hamburger Bahnhof, Berlin, and K21, Dusseldorf. 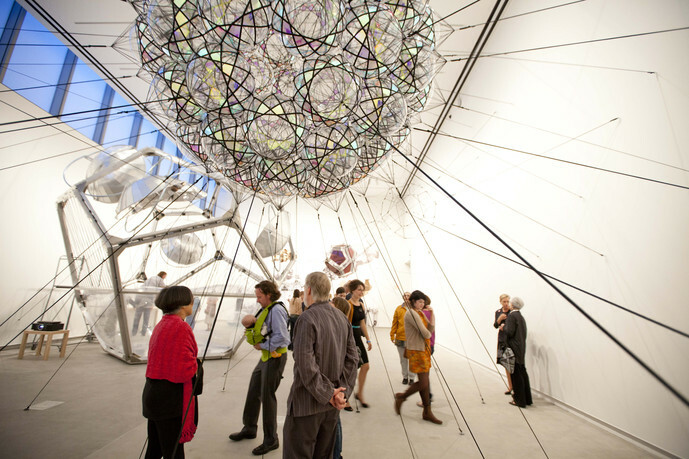 Saraceno has had recent solo exhibitions at the Blaffer Art Museum, University of Houston (2010); Bonniers Konsthall, Stockholm (2010); Muse d'Art Moderne Grand-Duc Jean, Luxembourg (2009); Walker Art Center, Minneapolis (2009); Berkeley Art Museum, University of California (2007); and Portikus, Frankfurt (2006). 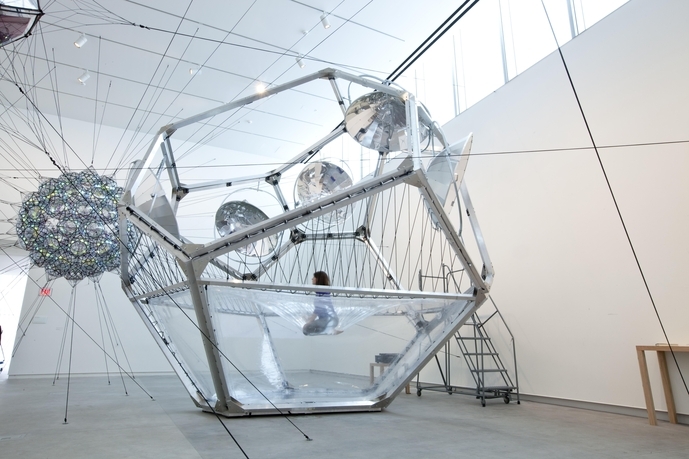 His work was featured in Making Worlds, 53rd Venice Biennale (2009) and numerous other group exhibitions in Copenhagen, Stockholm, London, and Berlin. The Mildred Lane Kemper Art Museum, part of the Sam Fox School of Design & Visual Arts at Washington University in St. Louis, is committed to preserving and developing its art collection and continuing its legacy of collecting significant art of the time; providing excellence in art historical scholarship, education, and exhibition; inspiring social and intellectual inquiry into the connections between art and contemporary life; and engaging audiences on campus, in the local community, across the nation, and worldwide. The Kemper Art Museum dates back to 1881 with the founding of the St. Louis School and Museum of Fine Arts at Washington University. 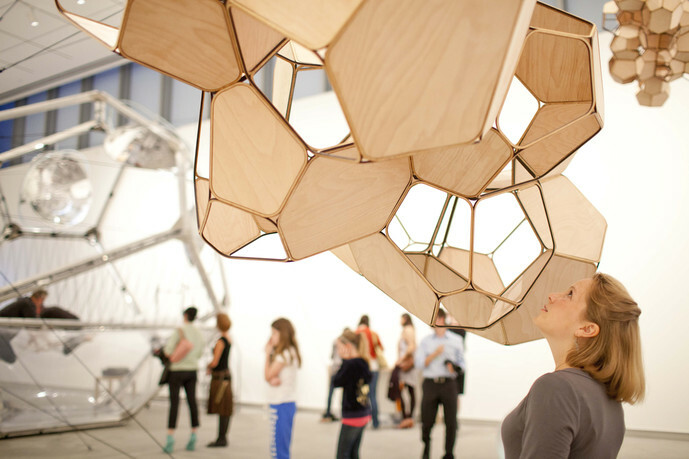 The Sam Fox School, established in 2005, links strong studio programs in art and architecture with the resources of the Museum. 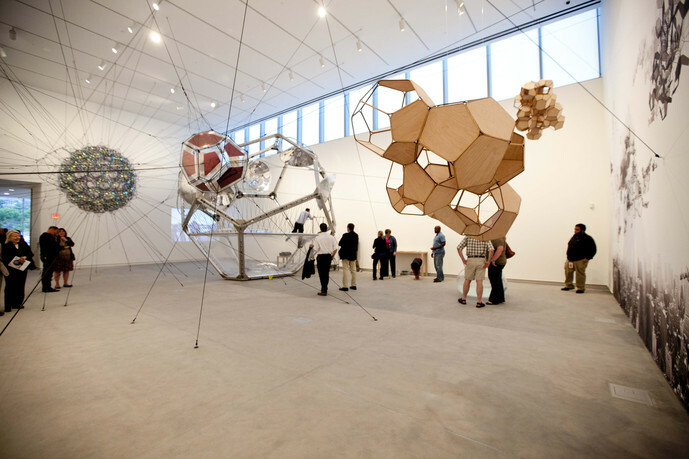 As such, it is dedicated to the creation, study, and exhibition of multidisciplinary and collaborative work with an emphasis on fostering intellectual exchange.